For over 25 years Melissa & Doug® has created toys, games, and more with an emphasis on value, quality, and design. From puzzles to puppets, plush toys to play food, magnetic activities, music, wooden toys, and much more, Melissa & Doug® has a product to please even the most discerning child. In fact, Melissa & Doug offers over 2,000 unique and exciting products that are designed to both engage and educate children of all ages. Melissa & Doug offers classic toys, and value-priced arts and craft kits as well as the exclusive Sunny Patch collection. 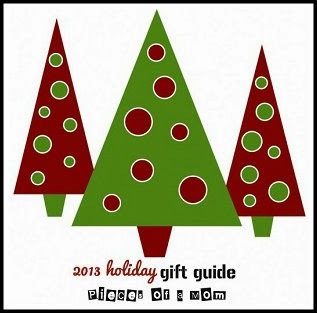 MelissaAndDoug.com customers will always find the perfect gift that’s fun and educational, too! My girls have always been big fans of Melissa & Doug. What we have loved most is the mix of learning and play that are synonymous with Melissa & Doug products. 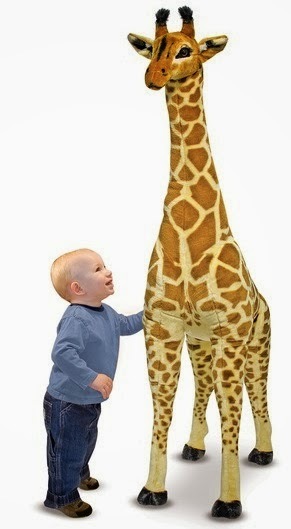 One of our all-time favorites is the Giant Giraffe Stuffed Animal. Emma's godfather and his wife bought this giraffe for their daughter several years ago, and my girls have had it on their wish list ever since then. Harper developed a love for Thomas the Train by the time she was two. For her third birthday, we bought her a huge Thomas train set. What we didn't realize at the time was that we needed a table too. 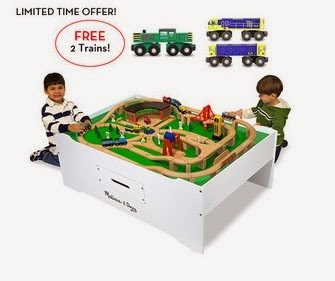 A train table like the Melissa & Doug one is a must-have for any locomotive lover. 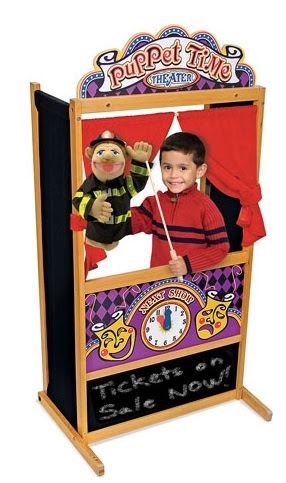 When we were on vacation last week at South Seas Island Resort, the children's play and activity center had one of these puppet theaters. My girls had hours of fun with it. It truly fosters creativity, and I loved that about this product. The girls were incredibly imaginative and entertained us with play after play. They improvised and did some script planning as well. This is a perfect gift for an actor in the making. Make your mini chef's dreams come true with this durable wooden kitchen set. Kitchen includes a stove, refrigerator/freezer, sink, oven and microwave with a turntable. 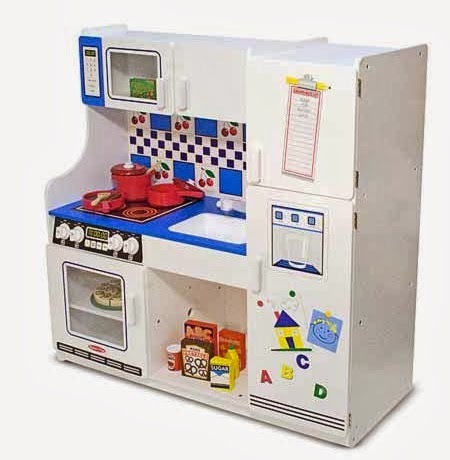 Colorful and functional, your little ones will enjoy hours of play in this kitchen. My girls have always loved their kitchen sets. Even now that they are a bit older, they still occasionally play with it. Kitchen sets encourage creativity in the kitchen, and they are a great place for kids to practice math skills. And no! They are not for girls only! No room for an art studio? No Worries! Any room becomes an art studio when you have the Melissa & Doug Art Easel. 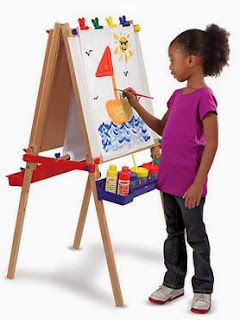 The easel includes a dry-erase board, a chalkboard, a paper roll holder, plastic trays on each side to hold supplies, and a child-safe paper cutter. Let your kiddos unleash their creativity and imaginations with this sturdy art easel. Folds up for easy storage. Art supplies are not included.